Antimony(III) oxide is the inorganic compound with the formula Sb2O3. It is the most important commercial compound of antimony. It is found in nature as the minerals valentinite and senarmontite. Like most polymeric oxides, Sb2O3 dissolves in aqueous solutions with hydrolysis. Antimony(III) oxide is an amphoteric oxide, it dissolves in aqueous sodium hydroxide solution to give the meta-antimonite NaSbO2, which can be isolated as the trihydrate. Antimony(III) oxide also dissolves in concentrated mineral acids to give the corresponding salts, which hydrolyzes upon dilution with water. 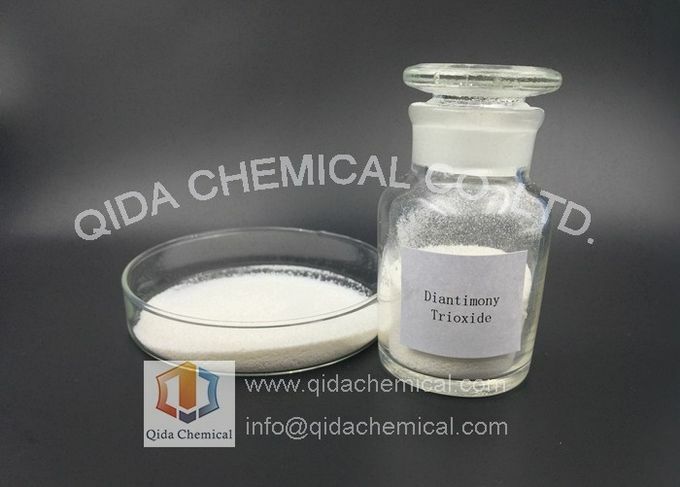 With nitric acid, the trioxide is oxidized to antimony(V) oxide. 98.0 Min. or 99.0 Min. 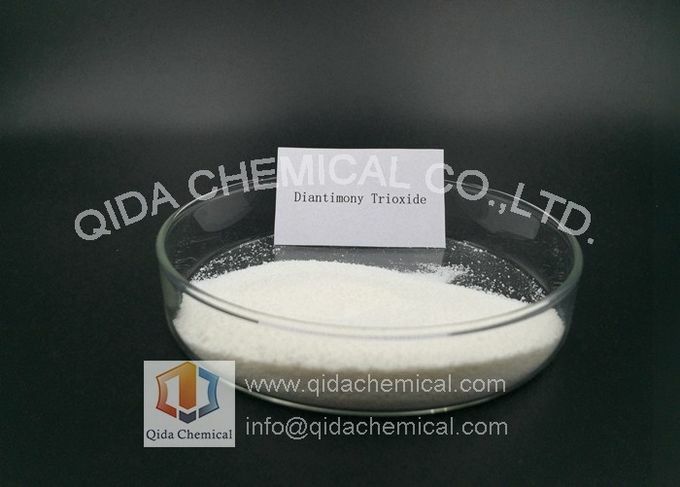 The main application is as flame retardant synergist in combination with halogenated materials. The combination of the halides and the antimony being key to the flame-retardant action for polymers, helping to form less flammable chars. Such flame retardants are found in electrical apparatus, textiles, leather, and coatings. 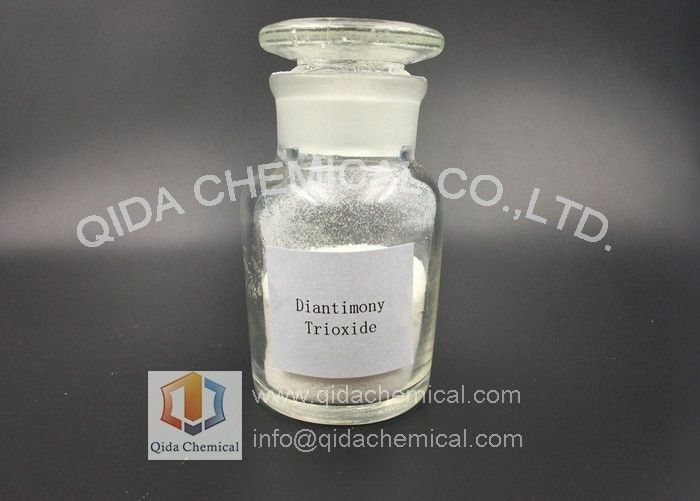 Antimony(III) oxide is an opacifying agent for glasses, ceramics and enamels. Some specialty pigments contain antimony. Antimony(III) oxide is a useful catalyst in the production of polyethylene terephthalate (PET plastic) and the vulcanization of rubber.